Moscow’s Central House of Artists presented the first solo exhibition of jewelry items by Vladimir Mikhailov, an internationally acclaimed designer of Orthodox images in jewelry. 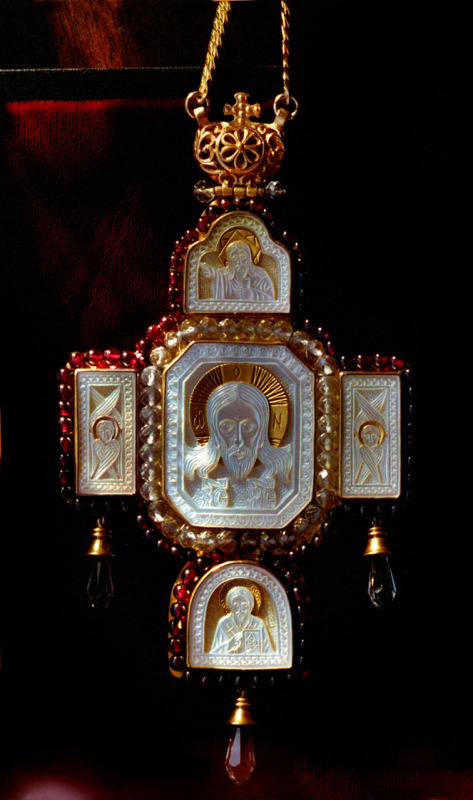 Mikhailov, who is often dubbed Russia’s modern Faberge, rose into prominence as the creator of elaborately designed and exquisitely crafted miniature Orthodox icons, pectoral crosses and Easter eggs. 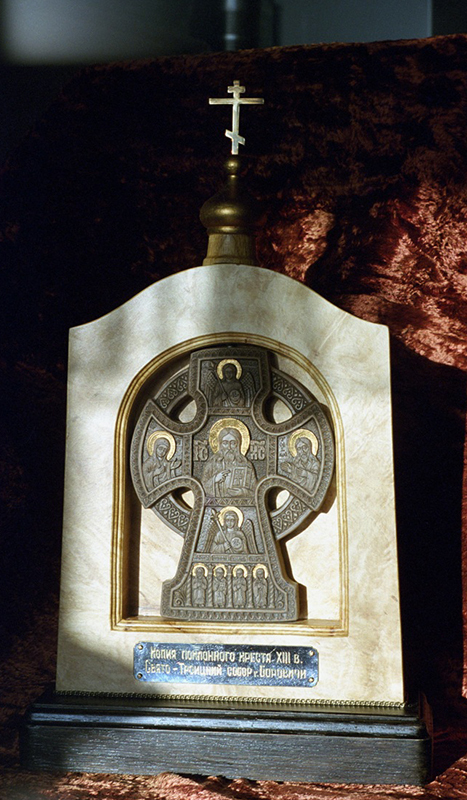 The exhibition featured Mikhailov’s early artifacts: carved stone and carved bone icons and crosses. All of them are in private collections. 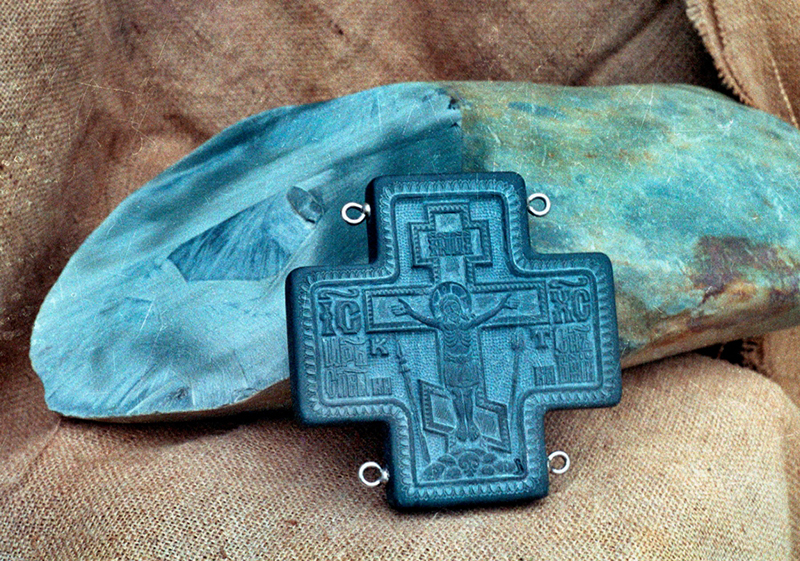 His first stone carving dates back to 1983 when he picked a stone on the bank of a river and carved a pectoral cross for a priest. He has since made hundreds of miniature pectoral crosses, icons and jewelry pieces of astonishing beauty. Mikhailov is not afraid of experimenting with wood, ivory, mother-of-pearl and other materials. 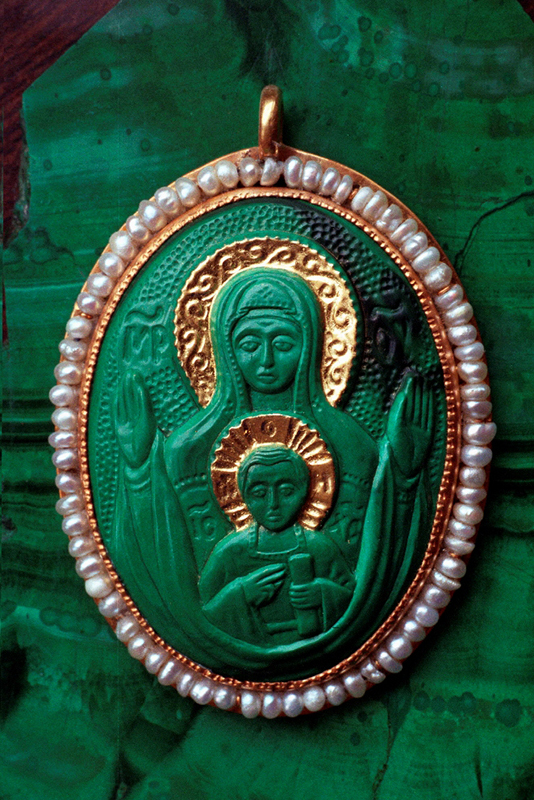 He revived and develops the ancient techniques of creating Orthodox images, which originated in Pskov and Novgorod in the 12th -13th centuries and were strictly followed by Russian icon painters. Thirty years ago, Mikhailov received the blessing of the Metropolitan of the Leningrad Diocese and later Patriarch of Moscow and All Russia Alexi II. His prolific legacy numbers hundreds of carved icons, including copies of the miracle-working icons of the Mother of God of Kazan, Iversk and Tikhvin; the images of St. Nicholas-the-Wonderworker, St. Sergius of Radonezh, St. Seraphim of Sarov, St. Ioann of Kronshtadt; large gold carved icons “The Nativity of Christ” and “The Last Supper”; a table-top icon of St. Andrew-the-First-Called, and many others. One of the most amazing items on display at the Central House of Artists was a miniature silver book of Orthodox prayers engraved in letters less than 1 mm in size and adorned with icons.